Nathan has a passion for great irrigation, drainage & landscape lighting systems. He doesn’t settle for anything but high quality work. Nathan is well-known & respected by his competitors & suppliers as a man of integrity and with a very hard work ethic. 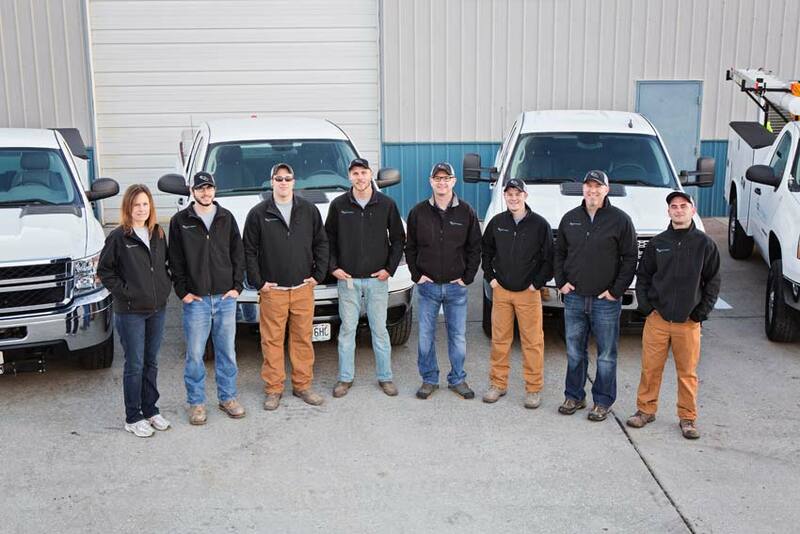 In the Lee's Summit and Kansas City metro, Nathan and his team are trusted by homeowners and business owners. Almost two decades ago we started as a company with just one man. Originally founded as an all-in-one company, we provided clients with a full array of outdoor services. In 2011 after considerable growth, we moved to our current location in Pleasant Hill, MO. This move allowed us to store more inventory and provide a centralized point for our operations. Focusing on only Irrigation, Drainage, & Landscape Lighting has been the best decision we ever made. By narrowing our focus, we have been better able to become masters of our craft. We continue to better ourselves, our company, and our operations. We are very excited to see what the future holds in the Kansas City area and are looking forward to more opportunities. We approach every situation with a "can-do" attitude. We exist to serve our clients, vendors, and our teammates. Thanks to all the great people who have made our company a success. worked with many Kansas City clients. Check out some of them now.